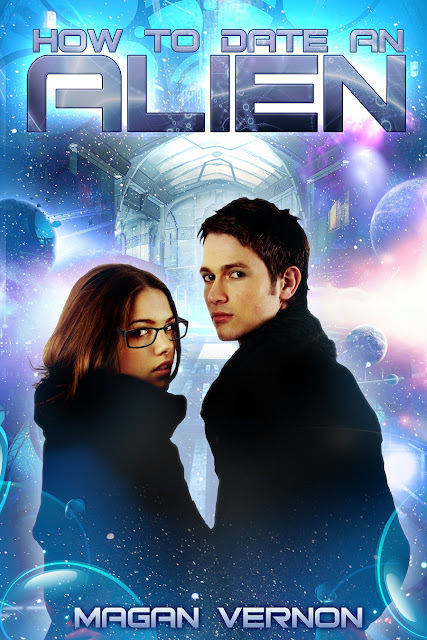 Cover Reveal: Magan Vernon's My Alien Romance Series Gets a New Look! Read more to see both covers and read what Magan has to say about the cover change! Check out my reviews of How to Date an Alien & How to Break Up With an Alien! "Now don't get me wrong, I LOVED my original covers for How to Date an Alien and How to Break up with an Alien, but to some people it was giving off the impression that it was a cutesy MG book. If you still loved my original covers, the beautiful designs by CA Marshall will still grace my paperbacks. To up the stakes and grace my covers with a hot alien boy, I enlisted the help of the awesome Steven Novak who has designed covers for Rashelle Workman, Megg Jensen, and Angela Carlie. He understood my vision and my NEED for Ace to have guyliner on the covers. These new covers will be uploaded to Amazon ASAP so hopefully the rest of the world can understand the hotness of aliens. Have you hopped over to Amazon yet and picked up How to Date an Alien for FREE?" Yeah thank you so much for posting these!